I’ve been using your services since 2012 when I lived just around the corner. It feels like family at this point. I’ve since moved across town, but still use this vet because of the service I receive. Always had good experiences here! St. Matthews Animal Clinic is the gold standard for veterinary care. Period. End of story. Don’t even consider anywhere else. They are the best, from knowledge, to personal care, fair pricing and friendliness. Love the friendly and caring staff at SMAC. Everyone is welcoming and very knowledgable and answers all of my questions or concerns about my two fur babies. Staff was great – so friendly and made me comfortable with leaving my pet in their care. I have never had a problem with St. Matthews Animal Clinic. They are so considerate and nice to Harper and I. I look forward to coming every time Harper has an appointment! Thank you so much for the care of my cat, Ginger through the years, especially in assisting her over Rainbow Bridge. You made a difficult time easier. A special thank you to Dr. McCoy, Dr. Deren, and the staff. Vets are very thorough and very friendly. After switching from another well known veterinary practice, who failed to care properly for my dog, I was immediately impressed by the level of care/expertise and attention to detail you get with St Matthews Animal Clinic. If you live in Louisville or the surrounding area in KY, then you have picked the perfect place to find care for your pet. We are open 7 days a week! Pets are an important part of your life and ours. With a veterinary practice history dating back more than 40 years, St. Matthews Animal Clinic is your trusted source for animal care seven days a week. Caring for the region's small animals, we are conveniently located in the heart of St. Matthews. We like to say we are The clinic with a big heart— In the heart of St. Matthews. We always have an "open door," with early morning hours that extend into the evening. 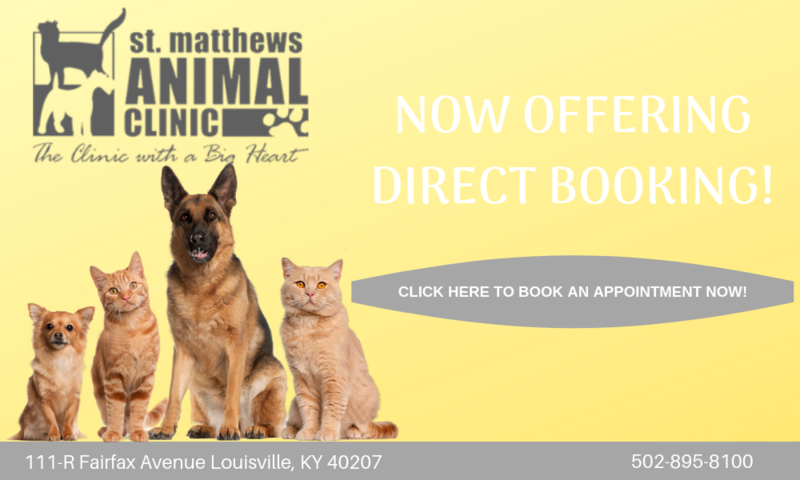 St. Matthews Animal Clinic offers a full veterinary staff with five experienced veterinarians and a complete range of pet care services, including full-service boarding and grooming. We are open for boarding drop-offs and pick-ups 7 days a week. We are conveniently located at 111-R Fairfax Avenue, Louisville, KY 40207, across from Trinity High School and next door to Burger King. Feel free to call (502) 895-8100 or email us with any questions and we'll promptly get back to you. Our office location is very convenient, and you can find directions on our Contact Us page. 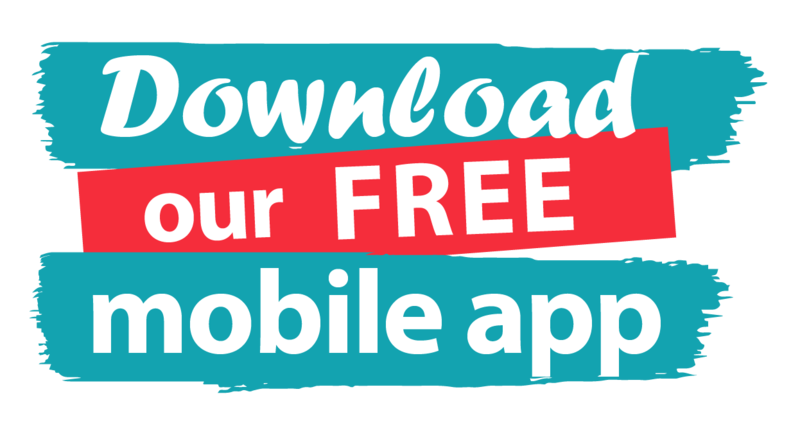 You can now download our FREE app for your smartphone to make it even easier to keep in touch with us! You can e-mail us, request your next appointment, order an in-house prescription refill, make a boarding or grooming request and check out our cute patient photos.